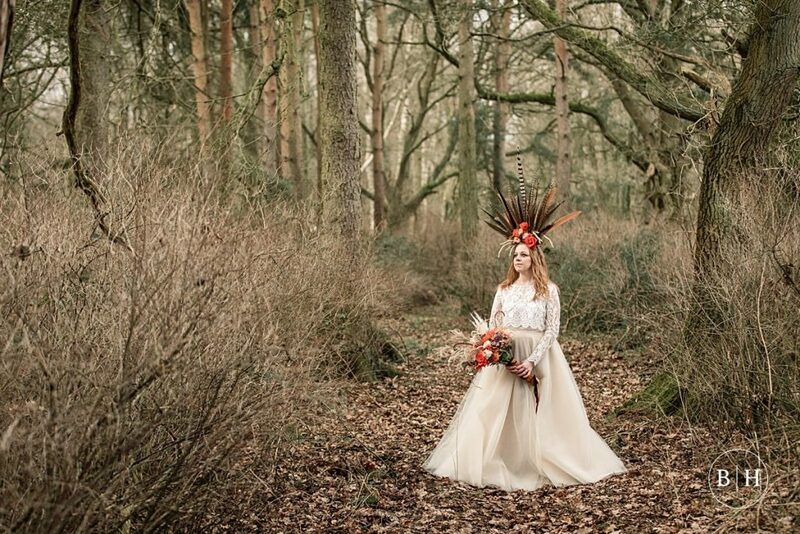 In February I was super lucky to collaborate with some amazing local suppliers to create this brilliant tribal wedding styled shoot! 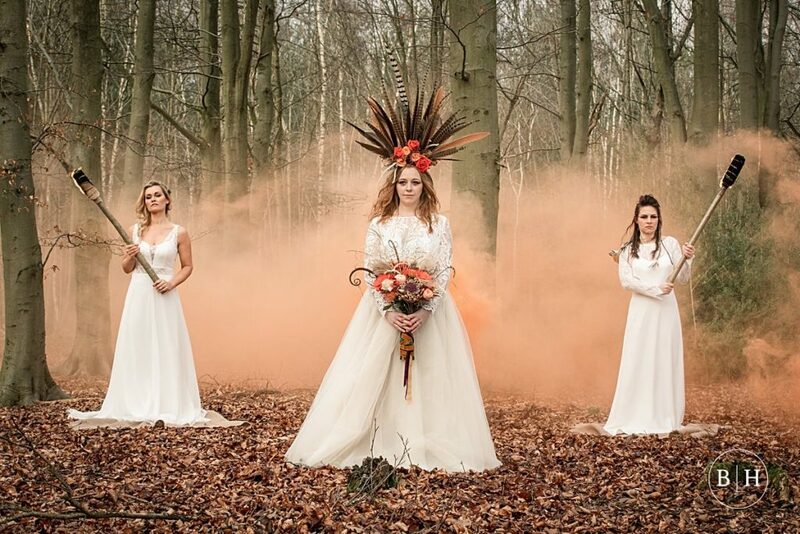 With International Women’s Day was on 8th March, we wanted to create a shoot that would celebrate strong and powerful women. 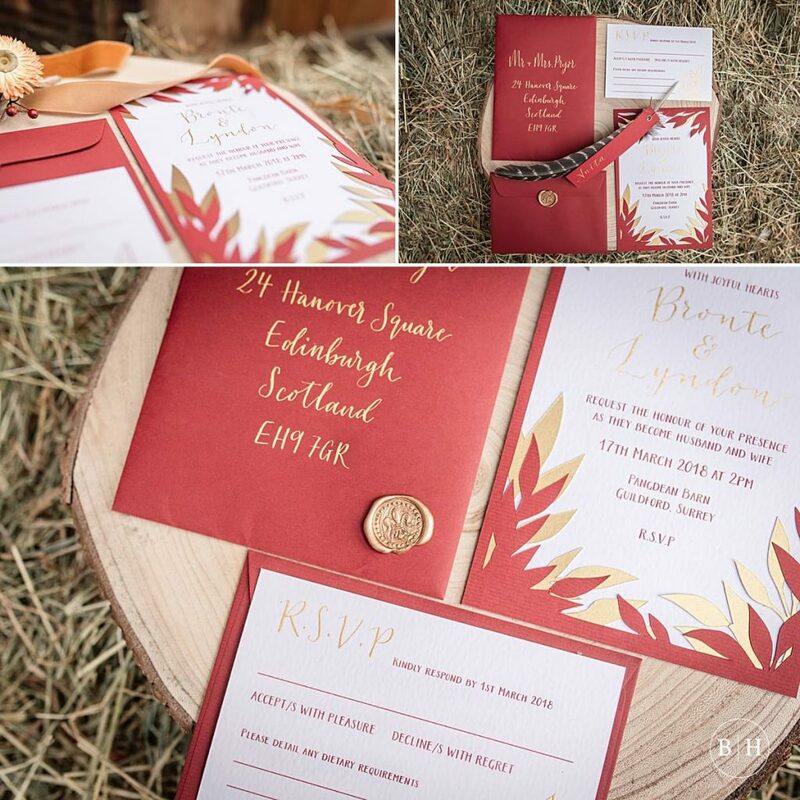 The Cambridgeshire and Suffolk border is infamous for being the home of the Iceni Tribe and British folk hero Boudica, who was the queen of the Celtic Iceni tribe and led an uprising against the Roman Empire. 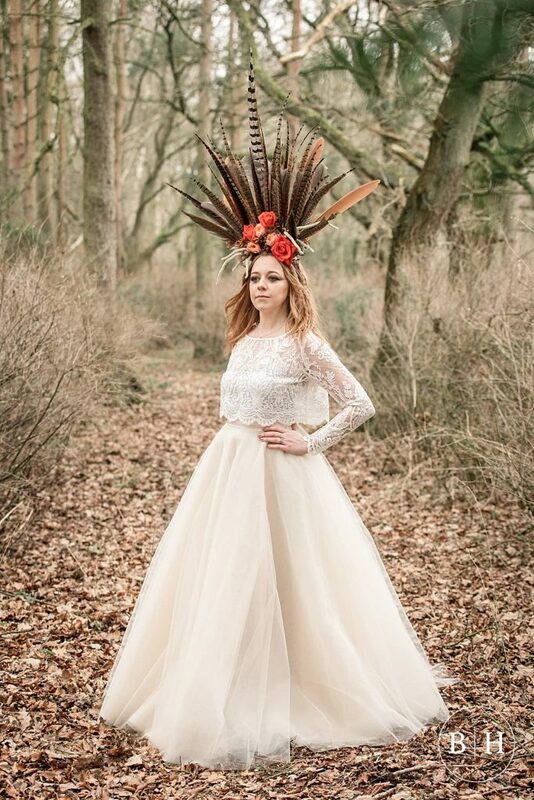 She infamously led 100,000 of the Iceni to burn London and St Albans in a flame fuelled battle. 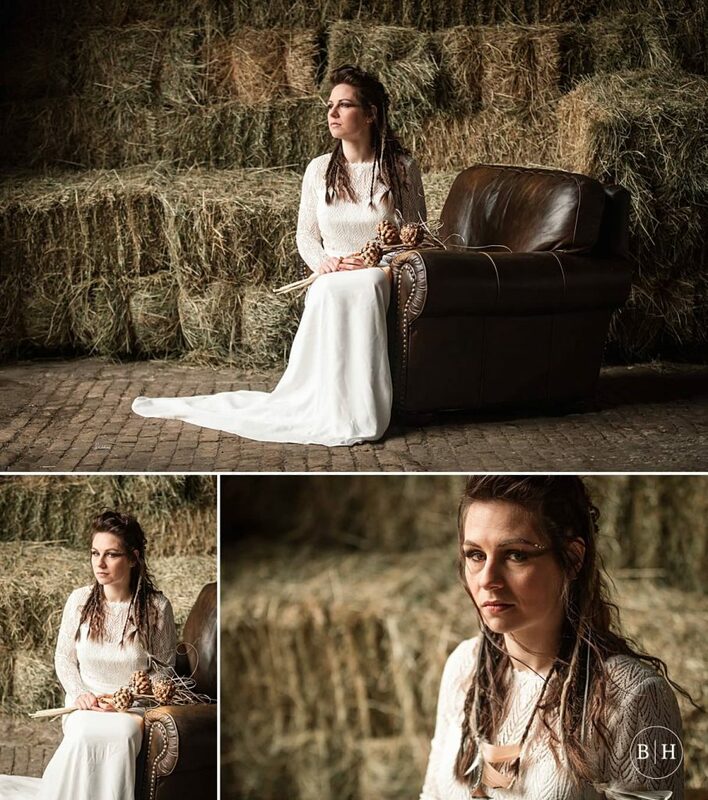 Despite ultimately being defeated, her name has remained legendary in folk law. 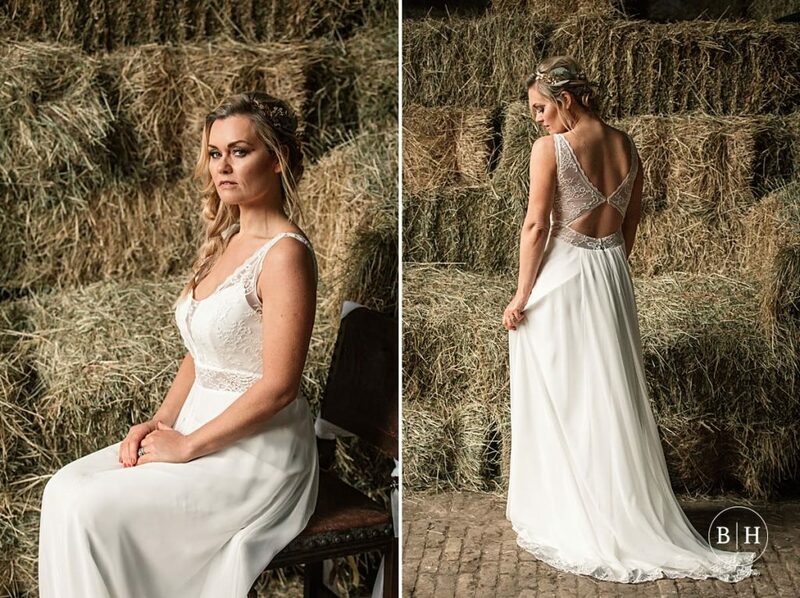 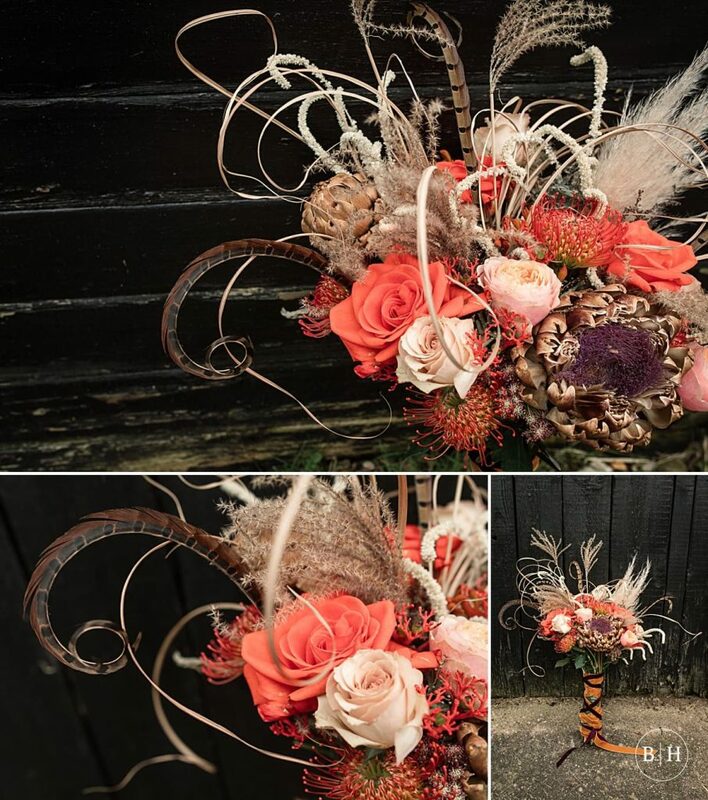 From this inspirational figure we decided to focus on rustic, tribal themes with a romantic modern twist. 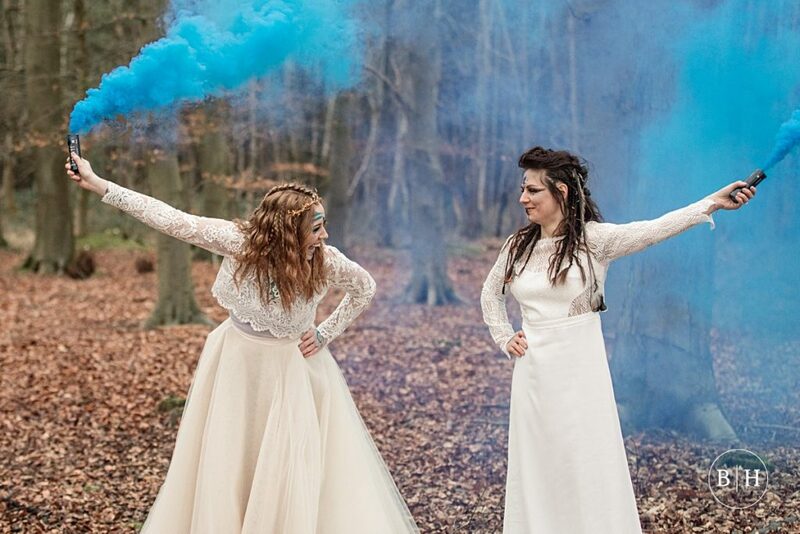 We want to celebrate the love of strong and empowered women, which is why we decided to feature 3 bride figures in our shoot. 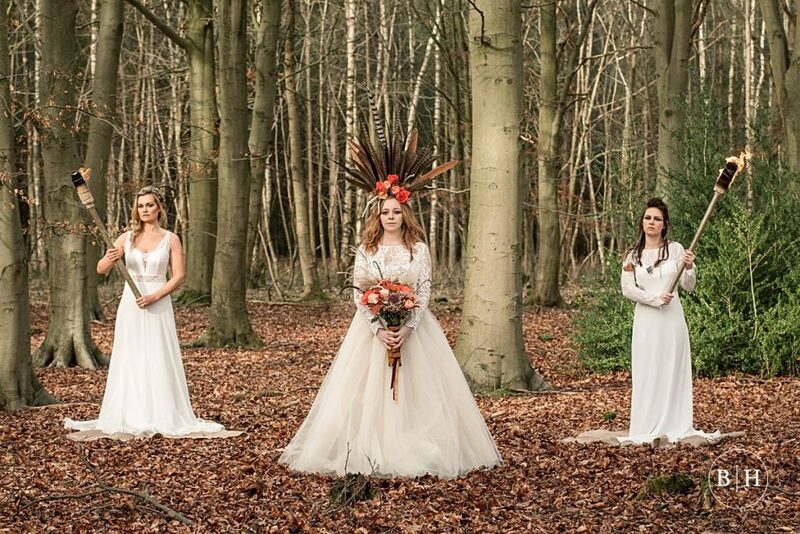 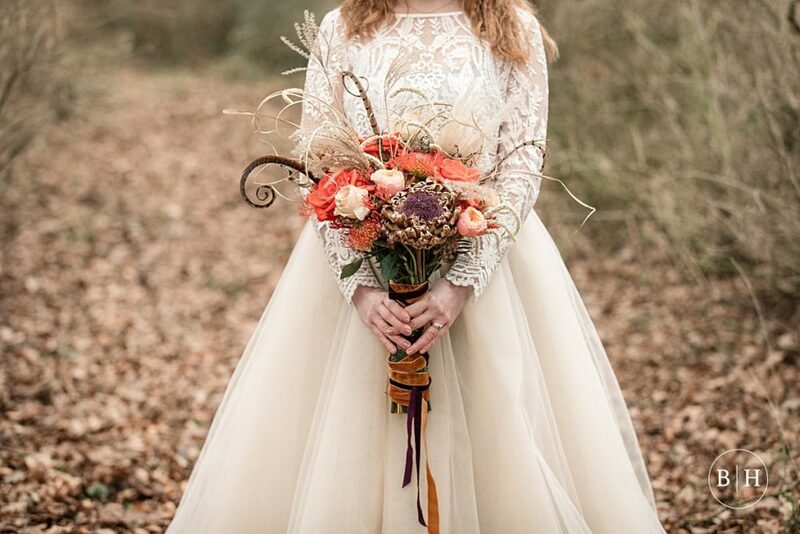 We have the red-headed Boudica character who resembles the tribal warrior queen and female strength, a more feminine and romantic bride (who is the bride we feature in the ceremony shots with her groom) and then a third bride who is styled to be more wild and natural (resembling mother nature). 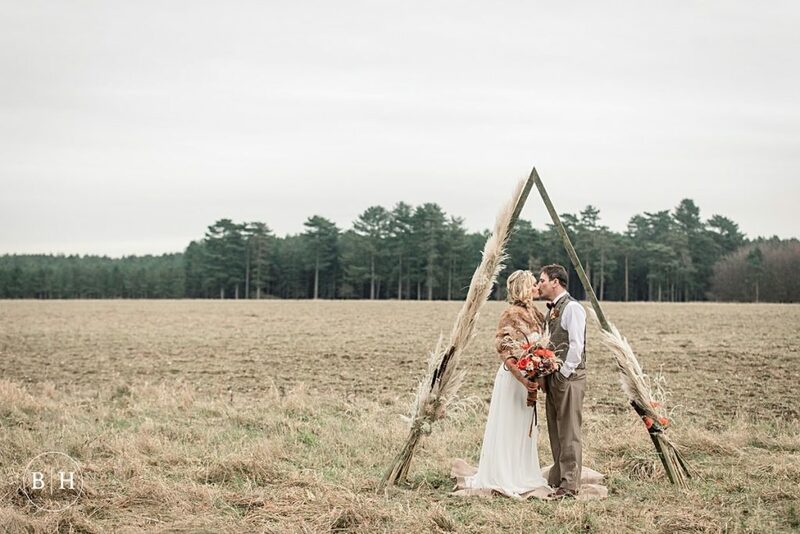 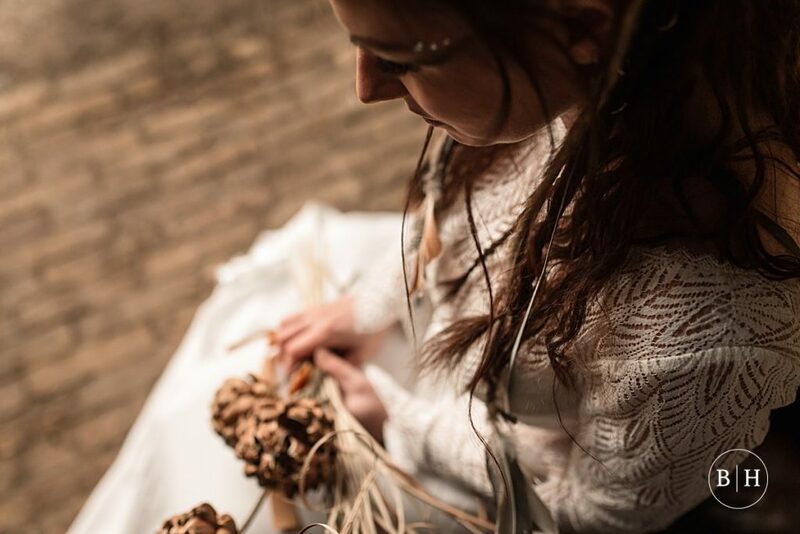 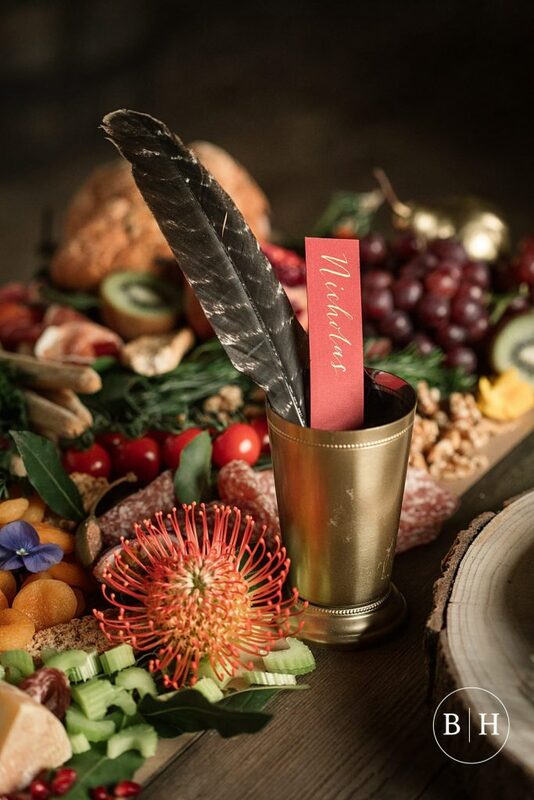 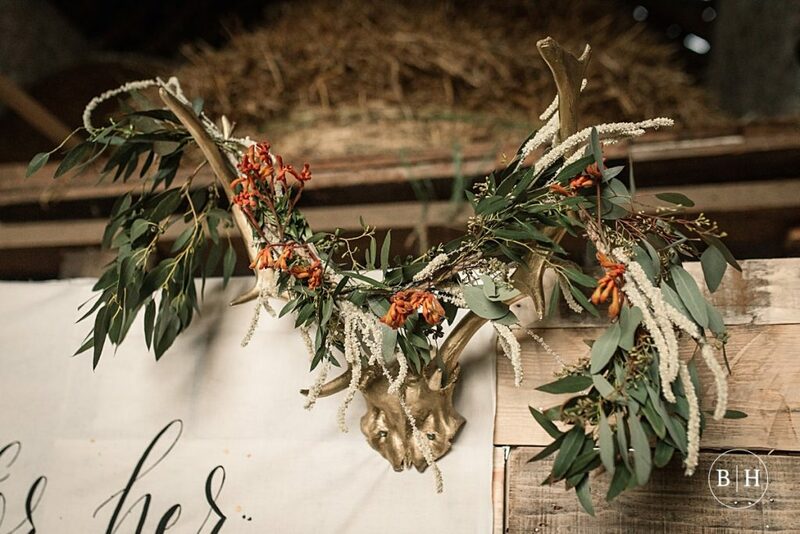 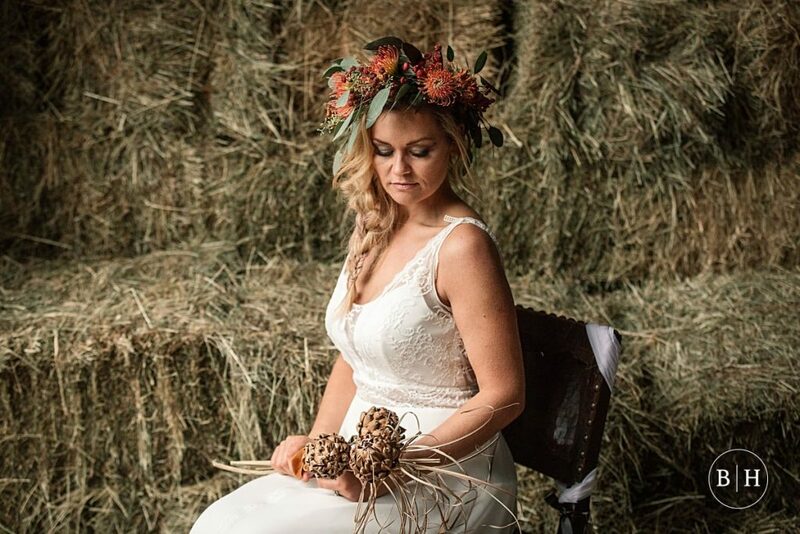 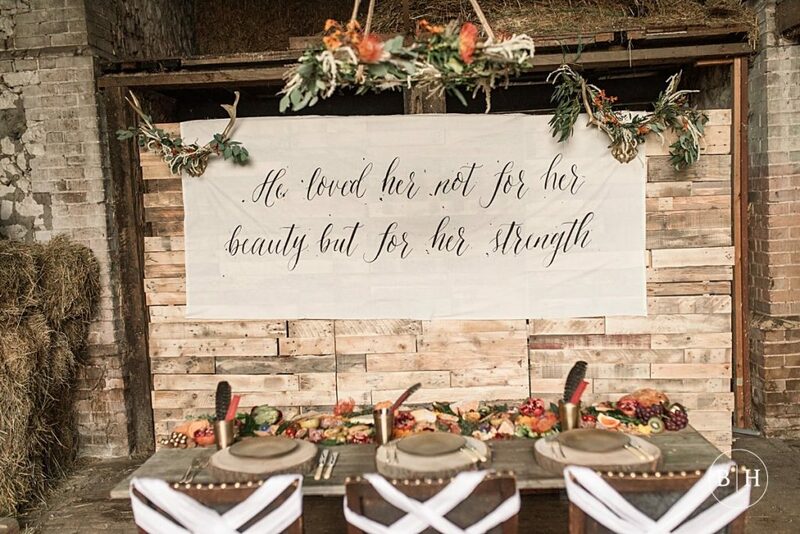 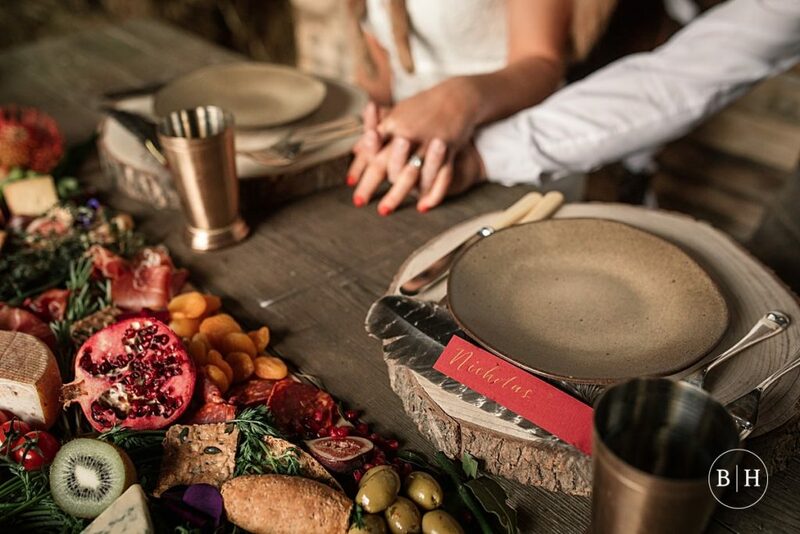 Katie from Songbird Wedding and Events and the amazing Becky from Feather and Ferns used grasses and natural materials to create an authentic ‘tribal’ but still on trend wedding look. 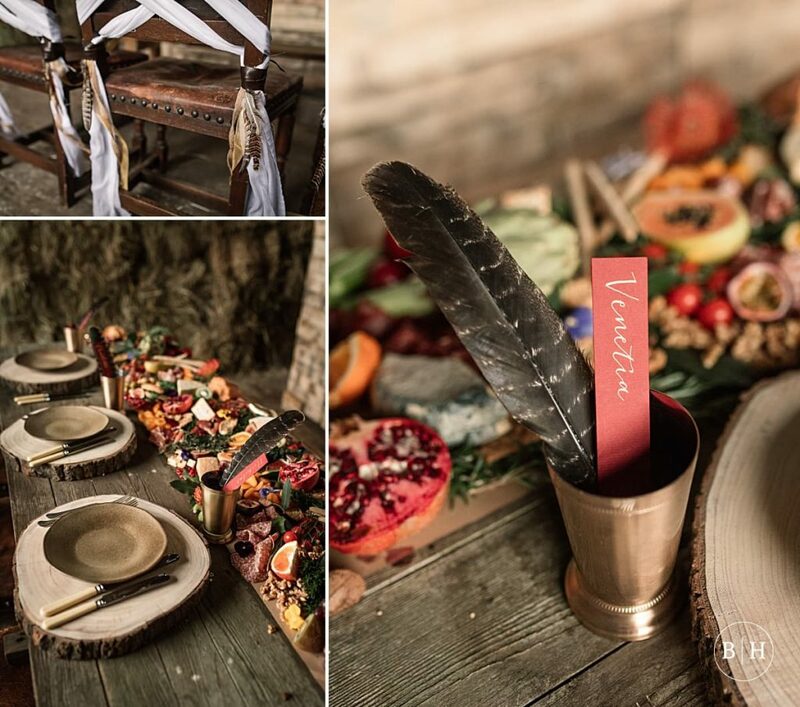 Hall and Co also created a banquet style feast table fit for a tribal queen, and La Belle Cake Company conjured up an incredible cake to bring together some awesome elements that fit in within the theme. 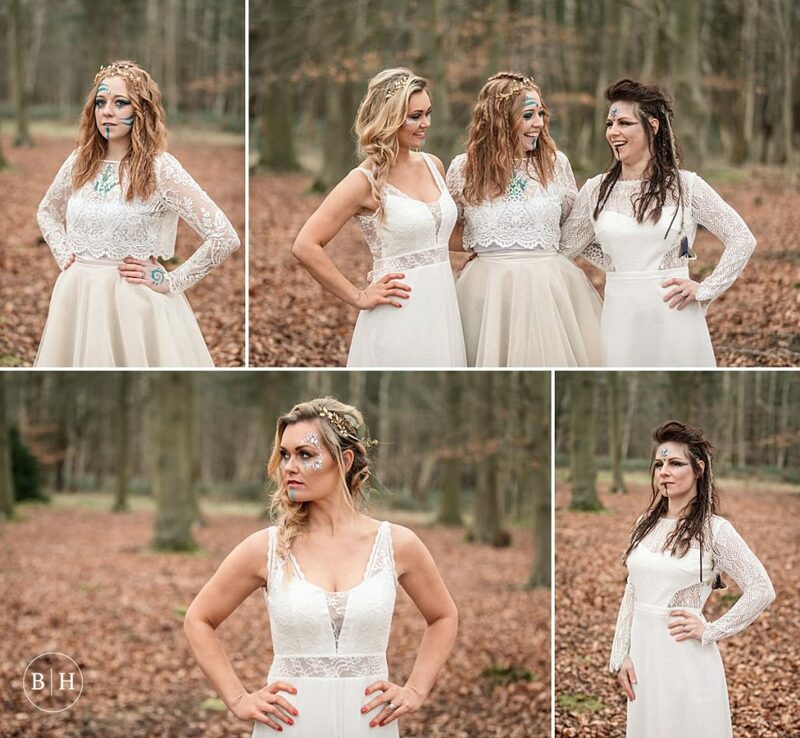 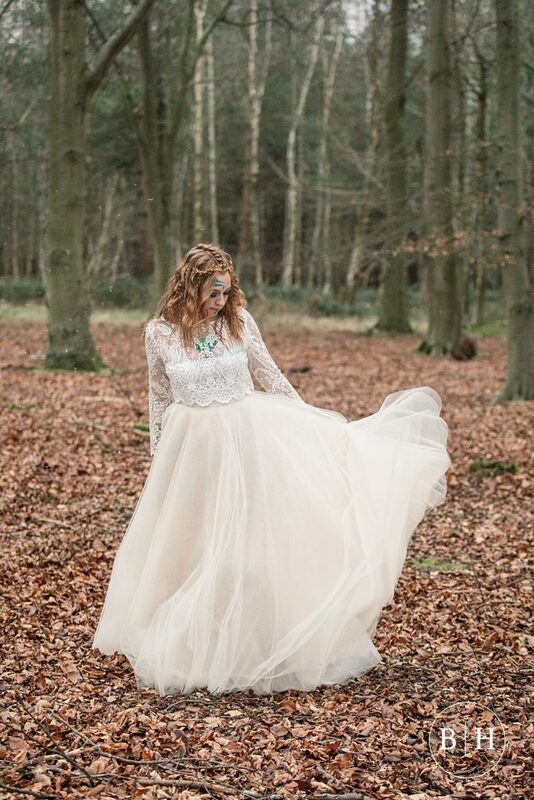 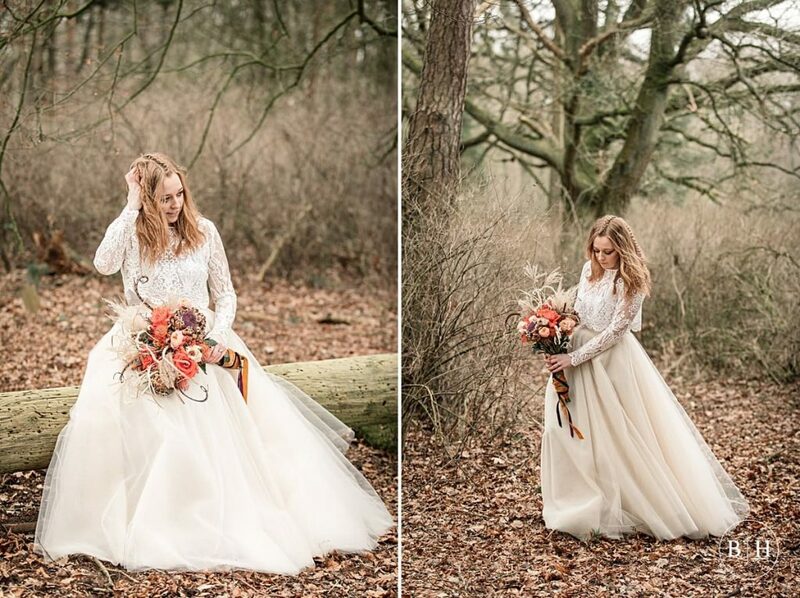 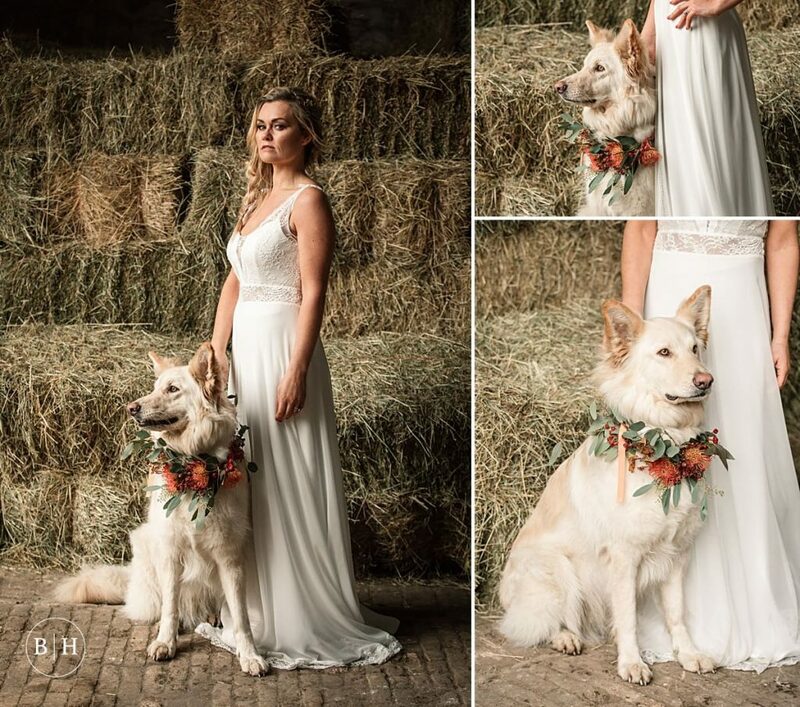 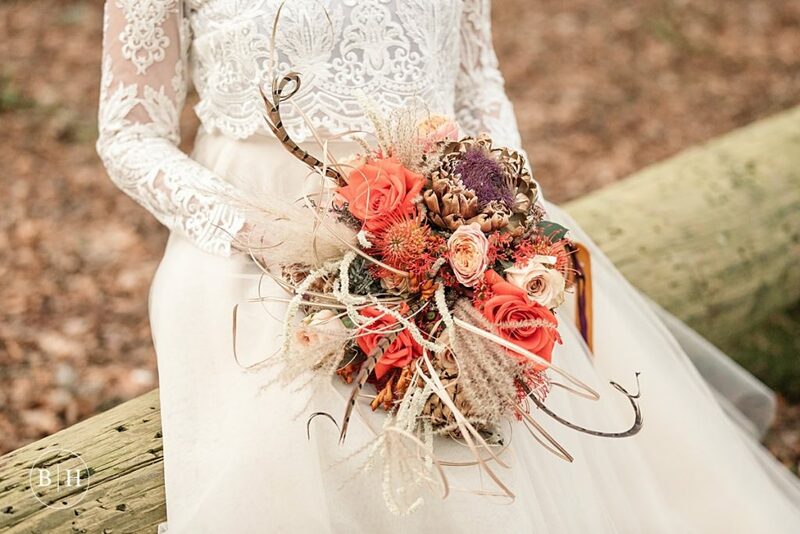 The shoot took place at the gorgeous Forest Lodge Weddings – a very unique venue set back in heart of Thetford Forest. 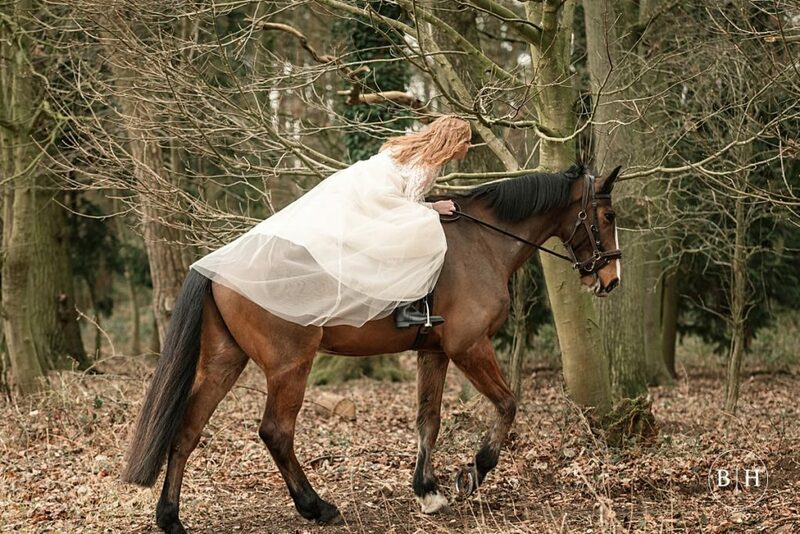 This incredible venue provides rather a unique option of riding yourself to the ceremony on horseback, as it is also a livery yard! 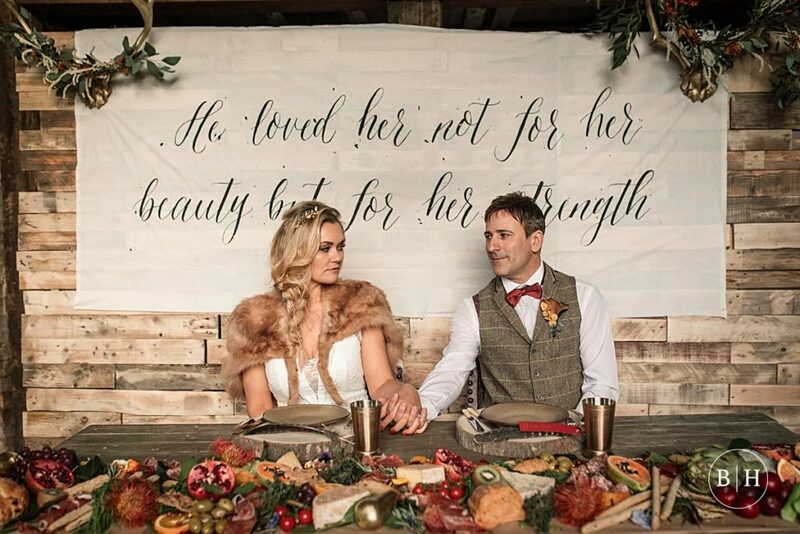 I had so much fun working on this brilliant shoot with such incredible suppliers and friends! 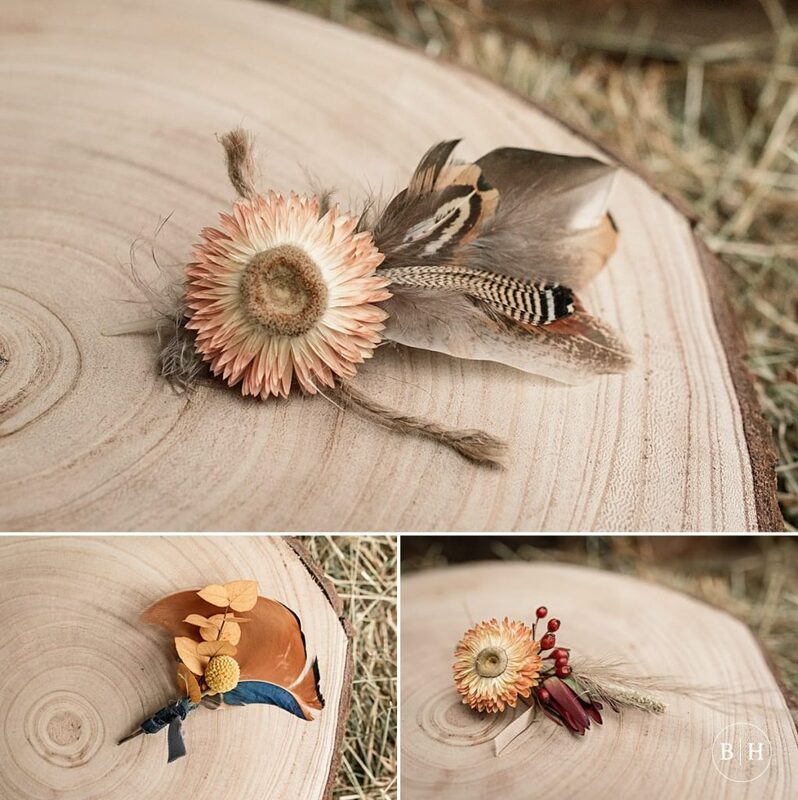 I strongly recommend that you check out the links below to see their work! 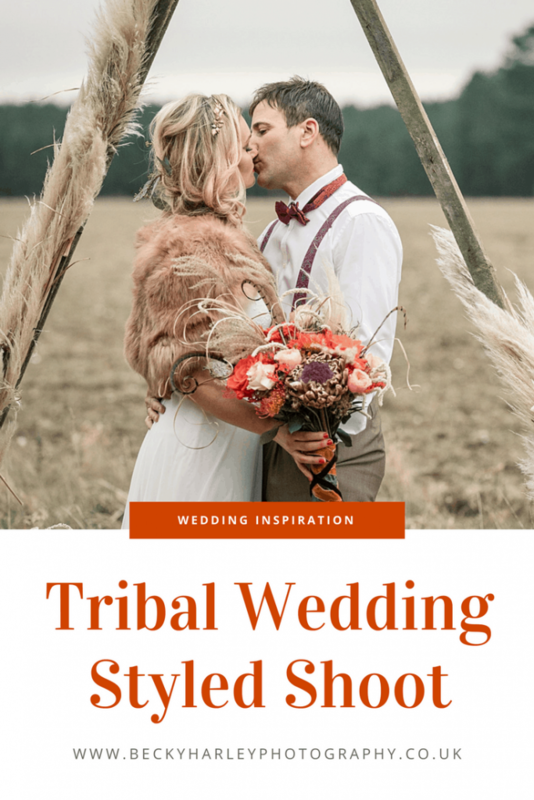 If you’ve been inspired by this tribal wedding, I’d love to hear from you about your plans for your big day, so drop me a line.